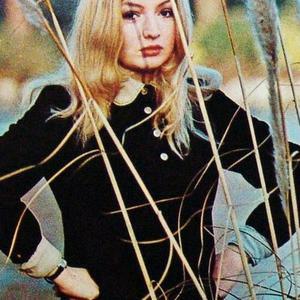 Mary Hopkin (born May 3, 1950) is a British singer. Born in Pontardawe, Wales, she grew up Welsh-speaking and began her musical career as a folk singer. She was discovered after appearing and winning ''Opportunity Knocks' hosted by the much imitated and more recently chronicled Hughie Green. She was one of the first artists to record on The Beatles' Apple record label. Her single "Those Were the Days", produced by Paul McCartney, was released in the UK on August 30, 1968 (catalogue number APPLE 2). Born in Pontardawe, Wales, she grew up Welsh-speaking and began her musical career as a folk singer. She was discovered after appearing and winning ''Opportunity Knocks' hosted by the much imitated and more recently chronicled Hughie Green. She was one of the first artists to record on The Beatles' Apple record label. Her single "Those Were the Days", produced by Paul McCartney, was released in the UK on August 30, 1968 (catalogue number APPLE 2). Despite competition from a well-established star, Sandie Shaw, who released her version of the same song as a single, Hopkin's version became a #1 hit in the UK singles chart, and reached #2 in the US. On February 21, 1969 her debut album Postcard, also produced by McCartney, was released. It includes covers of three songs from Donovan, who also played on the album, and one song each from George Martin and Harry Nillson. The next single was "Goodbye", written by Paul McCartney (but credited to Lennon-McCartney), released on March 28, 1969 (APPLE 10); it reached #2 in the UK singles chart. It was kept off the top of the charts by the Beatles' single "Get Back". "Goodbye" has never been officially released by the Beatles, although a demo version can be found on some of the Beatles' bootlegs. Her song, "Rachel's Song", was featured on the Blade Runner soundtrack by Vangelis. She represented the UK in the 1970eurovision song contest singing "Knock Knock Who's There", which came second in the contest, narrowly beaten by "All Kinds of Everything" performed by Irish singer Dana. "Knock Knock Who's There" was released as a single (APPLE 26) on March 23, 1970, reaching #2 again in the UK singles chart. After marrying record producer Tony Visconti in 1971, she mainly withdrew from the pop music scene to have a family, although she sang backing vocals for "Sound and Vision" on the 1977 David Bowie album Low as well as appearing on the 1977 Thin Lizzy album Bad Reputation (produced by Visconti). Hopkin and Visconti divorced in 1981. In 2005, Hopkin appeared on Dolly Parton's [abum artist=Dolly Parton]Those Were the Days[/album] album, singing on Parton's remake of the title cut. Also in 2005 the first CD on Mary Hopkin Music Live at the Royal Festival Hall was released. In 2007 Valentine was released. THE EARLY RECORDINGS is a compendium of Hopkin's pre-Beatles Welsh-language recordings made on the Welsh cambrian label which were re-released on the Decca in the late 1970s as The Welsh World Of Mary Hopkin and re-released in the late 1990s as THE EARLY RECORDINGS.